The tough parts. They come in waves. They come randomly. They come expectedly. Dr. Jennifer Hartwell stood in the operating room over his body. A man brought into IU Health Methodist Hospital with devastating injuries, multiple horrific injuries. It had been a crushing motorcycle accident. There was no saving him. No surgeon could have. His injuries were not survivable. The tough parts, though, sometimes turn to wonderful. Being a trauma surgeon is a string of highs and lows. Victories and defeats. One can change to the next in a moment. But in the end, what stands out are the people that Dr. Hartwell cares for. Many getting better. Some taking their last breaths before her eyes. Others brought in without a chance of survival, yet she gives every last ounce of strength she has to bring them back. Trauma is the glamorous made-for-TV part of medicine. It’s the stuff filled with drama, blood and sweat. Dr. Hartwell sees it all. The gunshot victims and stabbings. But those make up just 10 percent of trauma cases at Methodist. Most of her patients average 45 years old. Many are elderly. The most common cause of trauma is from falls, followed by motor vehicle accidents. When she’s on call, Dr. Hartwell will touch 20 patients in one shift. In a year, she sees more than 600. Often, she gets to deliver amazing news to families. Often, she doesn’t. “The worst part of my job is having to go and tell a family bad news,” says Dr. Hartwell, a married mother of four. After all, how do you walk up to a mother and tell her that her son has died? How do you tell a husband that his wife may not make it through the night? Dr. Hartwell has settled on doing this part of the job her own way. She always asks a chaplain to join her. She takes a few minutes to get presentable. That might mean taking off her surgery cap or getting a drink of water. It may mean changing scrubs if they are soiled from the operation. Sometimes, the families just have a sense. They know it’s bad. Other times, the families know nothing. They’ve just been told that their loved one has been in a car accident and taken to Methodist. Death. It’s a part of life for a trauma surgeon. How Dr. Hartwell goes from stopping the gush of blood on a patient and watching tragedy unfold to living a normal life outside the hospital with her husband and four children is unthinkable. Finding the space between the two extremes of emotions is key, she says. The space between getting too emotionally involved and becoming numb to it all. And Dr. Hartwell is deliberate about leaving work when she goes home. And being focused on patients when at work. Of course, it’s never perfect. Born in Troy, Ohio, a small town just north of Dayton, Dr. Hartwell grew up thinking she wanted to be a teacher. No one else in her family had a medical background, except her grandmother, who was a nurse and met Dr. Hartwell’s grandfather taking care of him during World War II. Both of her parents were counselors. Her dad, now retired, was a licensed professional clinical counselor who ran the counseling center at their church as well as the outreach and non-profit ministries. Her mom started out as a home economics teacher, but then got a master’s degree and was a guidance counselor for a career technical center. But one summer before college, Dr. Hartwell became mesmerized with a documentary on PBS. It was called “M.D. – The Making of A Doctor.” The series followed seven people through Harvard Medical School. So she switched her major from education to zoology, the closest thing to a pre-med degree that Miami University had, and soaked in all she could studying life systems. 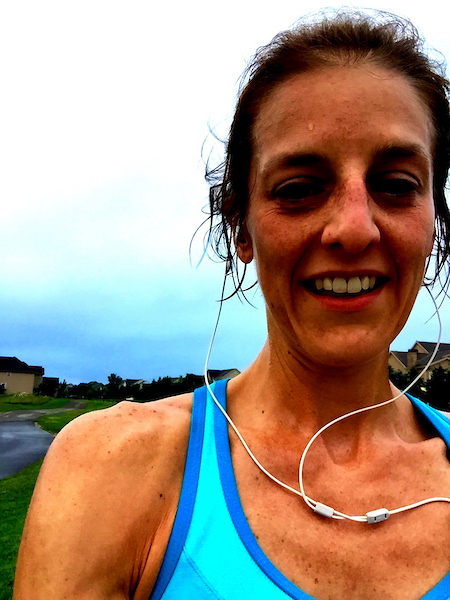 After college graduation, she put her medical school on hold to follow her husband, Scott, who was in the military, to Fort Campbell in Kentucky. She taught middle and high school science – and loved it. But not enough to deter her from her “Making of a Doctor” dreams. 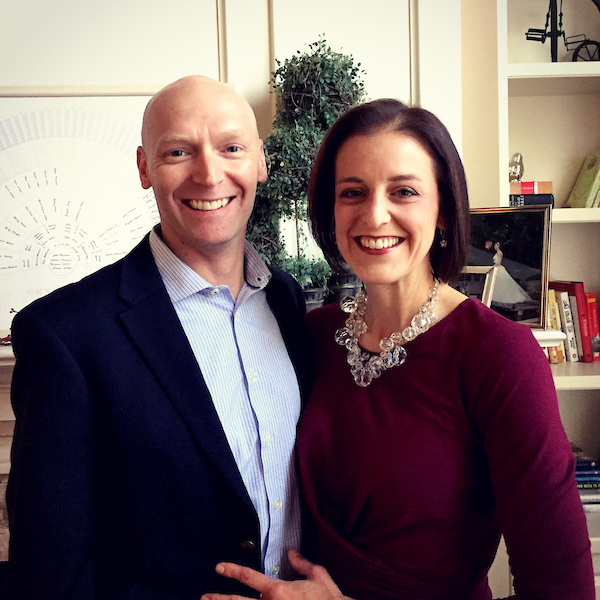 When the couple moved back to Ohio, Dr. Hartwell made it happen. She went to medical school at Wright State University, and then did five years of general surgery training at University of Illinois at Chicago. Trauma takes a certain type of person. “But isn’t it great everyone is different and likes different things?” Dr. Hartwell says. For Dr. Hartwell, who before coming to Methodist was at Grant Medical Center in Columbus, the adrenaline rush and fast-paced world of trauma draws her in. It’s all about taking in the big picture and asking, “What is most important now?” she says. And even as Dr. Hartwell sees the tough parts and the great parts and the devastating cases that pierce her soul, she always comes to the same conclusion. Personal: She married Scott, a financial and risk analyst, right out of college. Before medical school, Dr. Hartwell had her first son, Jack, now 17. During medical school, she had daughter Allie, now 14. As a third year resident, she had Ben, now 9, and as a senior surgical resident, she had Sam, now 8. Professional involvement: Dr. Hartwell is part of the Eastern Association for the Surgery of Trauma (EAST), Western Trauma Association (WTA), The American Association for the Surgery of Trauma (AAST), American College of Surgeons, Society of Critical Care Medicine (SCCM) and the American Society for Parenteral and Enteral Nutrition (ASPEN). When the National Football League championship game pits the top team of the American Football Conference against the National Football Conference titleholder, players have about three hours to capture the victory. But when teams of nurses face off for the Critical Care Bowl they have just 30 seconds to deliver their answers. Nearly 30 IU Health nurses joined in the recent competition sponsored by the Central Indiana Chapter of the American Association of Critical Care Nurses (CIC-AACN). 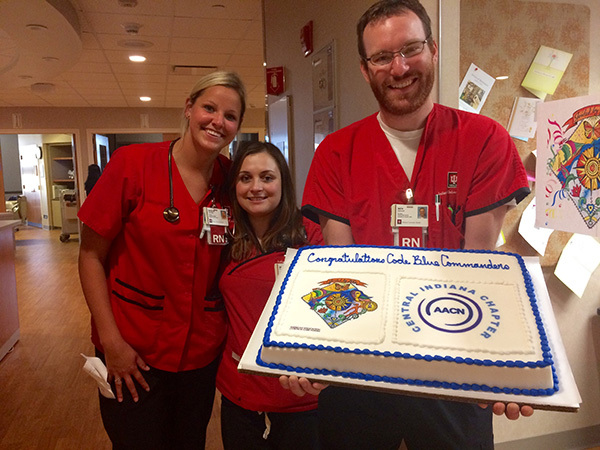 The Jeopardy-style contest challenged the skill and analytic of new RNs and veterans. “The competition was fierce. There were 14 teams and lots of friends and family members turned up to cheer on their favorite nurses,” said Mandy Dees, manager of nursing education, University Hospital. The AACN is a non-profit organization made up of 200 chapters throughout the United States dedicated to providing professional and personal support to acute and critical care nurses in an effort to provide the best possible patient care. While many competition teams practice for the big football game, the critical care practice is done during around-the-clock bedside care, said Dees. Teams chose questions from six categories – ranging from not so difficult (100 points) to very-difficult (500 points) questions. And just like the NFL championship game, this contest begins with a coin toss to determine who picks the first question. The teams are quizzed in categories that include cardiovascular, pulmonary, endocrinology, hematology, and renal topics. IU Health Methodist team members represented Cardiac Medical Critical Care, Cardiovascular Critical Care, Adult Critical Care, and Multispecialty Critical Care. IU Health University teams represented Medical Intensive Care, Transplant and ICU. After a tough battle, the Cardiac Medical Critical Care team emerged as the champions using the name, “Code Blue Commanders.” IU Health teams also captured second and third places. Third place, Maxed out on Pressors – Kami Biggerstaff, Ali Heda, Alex Monnin, Sam Bonvillian, Jackie Smith, Katelyn Mathison. “We’re a very competitive unit and the final round was close between the two teams. IU Health didn’t win last year so it was good to bring the win home,” said Nicole Wallace. It was her third year of participating in the competition. A colorful painting is displayed just inside the entrance to the Cancer Resource Center. Across the top are the words: “Enjoy Every Day.” A patient created the artwork, and Lindsay Syswerda has adopted the words. “I look at our mission in as to help others enjoy every day because you’re never guaranteed tomorrow. So it’s important to find happiness in everything you have,” said Syswerda, who obtained her Bachelors Degree in public health promotion & education from Central Michigan University. Syswerda moved to Indianapolis from Grand Rapids with her husband Curtis who is pursuing a degree in energy engineering at IUPUI. Prior to joining IU Health Syswerda worked for a Michigan health system in events and relationship building and has also worked with volunteer programs in an adult cancer service line. One of her first goals is to beef up the volunteer program and provide meaningful experiences for volunteers with the Cancer Resource Center. “A lot of people want to give back. This volunteer role is ideal for cancer survivors or caregivers as well as retirees and individuals who enjoy interacting and helping others,” said Syswerda. The Cancer Resource Center provides information for classes/events, educational resources, support groups, and other resources at IU Health Simon Cancer Center and within the community. “We are looking for volunteers to help connect patients, families and caregivers to local community resources to assist them during their cancer journey,” said Syswerda. Cancer Resource Center volunteers are trained by IU Health Simon Cancer Center as well as the five partner agencies: Leukemia & Lymphoma Society, American Cancer Society, Susan G. Komen, The Little Red Door and Cancer Support Community. In her new role Syswerda will also oversee the activities of the CompleteLife Program that provides such services as yoga, massage, art and music therapy to patients, family members and IU Health team members. A cosmetologist is also part of the Cancer Resource Center and provides cancer patients with haircuts and wig fittings. “The CompleteLife program has some wonderful experts in their fields and I want to support that and find ways we can enhance that,” said Syswerda. Some of the upcoming activities include: Lunchtime music, family and friends caregiver support (both on Thursdays); and the First Monday Cancer Support Group (October 2). The wig bank is open twice a week, a caregiver massage chair is available on Tuesdays, and “Creating Hope,” a watercolor workshop is offered on Thursdays. A complete list of events can be found here. “I really believe that it’s our mission to help others find some joy in their lives every day during one of the toughest times – whether that’s through yoga, music, art or some other holistic approach,” said Syswerda. Her creative outlet is floral arranging. She enjoys working with wedding parties to design and create bouquets okc for the special day. She doesn’t consider herself “outdoorsy” although she does enjoy kayaking and biking. She took a yoga class in college that started her love for the relaxation technique. She loves arts and crafts and at one time thought she might become an interior designer. Wait… The Methodist Pharmacy Does This? There are, of course, the prescriptions that get filled — an average of 780 a day. Do a little math and that’s a mind-boggling number in a week, let alone a month or a year. And that alone is remarkable. But inside the bustling IU Health Methodist Retail Pharmacy there is so much more going on, things most people would never fathom. All the staff is trained on identifying signs of domestic violence. More than once, they have helped get a victim to safety. The pharmacy is taking major strides to slash hospital readmission rates with a discharge program that’s had amazing success rates. And workers make personal calls to nearly 1,000 patients every month – HIV and transplant – to make sure they have their prescriptions and are getting refills of their life-saving medicine. The staff. Behind the counters, among all those bottles and boxes of pills and medicine, is an army of workers. The Methodist pharmacy employs about 36 – ranging from pharmacists and certified pharmacy techs to social workers and social work assistants. There is also a robot in the pharmacy, which joined the team about six years ago. She/he fills 40 percent of the prescriptions and labels the bottles. Miller has worked at the pharmacy, which opened 30 years ago, for 21 of those years. She’s seen its name change six different times. At one point, it was called the Methodist Prescription Center. At another, Indiana Home Care. As manager for the past 12 years, Miller has worked to transform its mission. We asked her to tell us more about all that goes on inside this pharmacy inside the hospital. When a patient is ready to leave Methodist, a pharmacy tech goes to that patient’s room to enroll them to get prescriptions filled. Miller and her staff want to make sure patients leave with their medicine. They troubleshoot prescriptions, making sure they are written correctly, that they are covered by insurance and that the patient has the money to pay for it. When the prescriptions are ready, a pharmacist will call the patient in the room to go over cost and do counseling. The pharmacy tech will then deliver it to the room. The program started in 2008 and Miller has been tracking its success, which has been tremendous. Over the last 18 months, the readmission rate for patients who left with their medicine was 4.23 percent less than those who don’t leave with their medicine. Every month, Miller’s staff makes phone calls to nearly 1,000 patients — more than 400 transplant patients and about 450 HIV patients. The goal is to touch base and make sure they are taking their prescriptions or refilling them. And when a transplant patient or patient on a ventricular assist device leaves the hospital, a pharmacist is sent up to consult with the patients on the medicine they will need outside of the hospital. Miller’s next goal? To get patients with chronic obstructive pulmonary disease (COPD) on a similar program. Most people don’t think about social workers in the pharmacy, but they play a big role. They help patients qualify for financial assistance programs to cover the cost of their prescriptions. Pharmacy staff members are trained on identifying victims of domestic violence. If they notice something with a customer that raises a red flag, they will ask that person if they’d like to talk to a pharmacy social worker. Since that program has been in place, Miller has seen several domestic violence victims brought to safety. Personal: Miller was raised in Beverly Shores, Ind., and started dating her husband, Jeff, when she was 15. They have been married 34 years, live in Indianapolis, love to travel and have three grown children, Joy, Jeremy and Patti. They also have three grandchildren, two girls and a boy. Road to pharmacy: She thought she wanted to be a physical therapist, but her taste for pharmacy came as a sophomore in high school. She loved chemistry and her chemistry teacher, whose son was a pharmacist. She knew from then on, a pharmacist she would be. Education: Miller went to Purdue University for pharmacy school, then completed a post-graduate residency in hospital administration at Brigham And Women’s Hospital in Boston. Full circle: After she finished her residency, she was hired at International Health Services in Boston where she developed a database tracking diagnosis and the difference in length of stay based on drug use, very similar to the discharge program at Methodist. 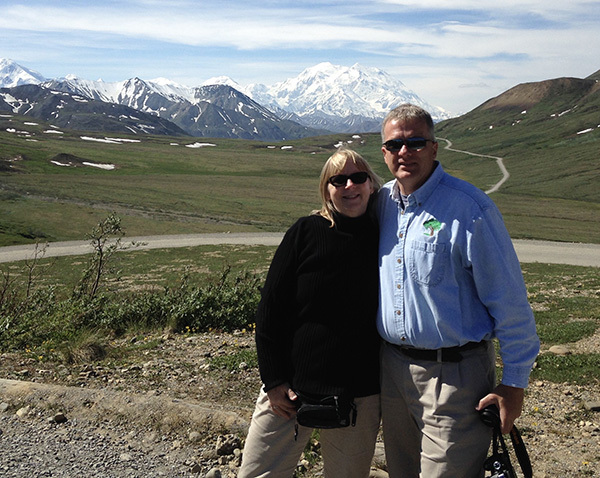 Landing at Methodist: The couple moved back to Indiana in 1988 and Miller worked at an independent pharmacy before coming to Methodist in 1996. She worked as a pharmacist before taking the role as manager 12 years ago. Aim to establish an ongoing relationship with a primary care provider. Long-term physician-patient relationships allow doctors to get to know their patients and learn their medical history. While it’s not always possible to maintain such a relationship due to insurance changes and life circumstances, continuity of care provides significant benefits for patients. When reviewing your health insurance options each year, check to make sure your primary care doctor is included in your plan. If you need to find a new doctor, plan to schedule an appointment with your current physician before the end of the coverage year to help ensure a smooth transition. Your current doctor may be able to recommend other providers and will help transfer your medical records. If you’re taking prescription medications, it’s important to work with your current doctor to ensure you have refills to meet your needs until you find a new physician. Review the preventive care coverage included in your plan. The Affordable Care Act requires that preventive health services be covered at no additional cost in all health insurance plans. These services, which include immunizations and health screenings are based on age and gender. Take time to review your health plan to understand what preventive care services are offered and then work with your primary care provider to develop a preventive care plan that’s right for you. Learn about your prescription drug plan and work with your doctor. Some health insurance plans offer incentives for 90-day prescriptions. If you’re taking maintenance medications for a chronic condition, such as heart disease or high blood pressure, ask your doctor if a longer-term prescription is possible to save you money. Know where you need to go for lab and imaging services. Some health plans require you to use certain labs and radiology centers. If you’re able to choose, you may want to find facilities that are close to your home or work. If you’re selecting a new primary care doctor for insurance reasons, you may want to see if these services are offered on-site for added convenience. With today’s technology, we can learn about anything—any time—using devices that fit in the palms of our hands. And while “Googling” can be helpful in gathering information, there are things you should consider when looking for medical information online. Seek out reliable health websites. The Internet can be a valuable resource, but it’s also full of reports, posts and websites that are inaccurate or misleading. To find the most reliable medical information, stick to websites curated by respected national organizations, hospitals and academic medical centers. The Centers for Disease Control and Prevention website, cdc.gov, is a recognized resource, as is familydoctor.org., which is sponsored by the American Academy of Family Physicians. 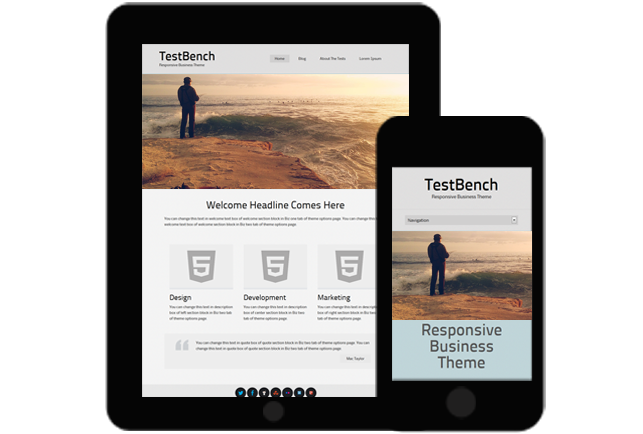 One way to determine if a website is reliable is to take note of the number of advertisements that appear on the site. It’s best to avoid websites that display too many ads, which could signal editorial bias. Understand the role of “community forums.” Health-related community forums often found on Facebook and other social networking sites are usually not approved or fact checked by doctors or medical experts. Typically, individuals post opinions and their personal experiences in forums, which should not be considered reliable medical information. Confirm online findings with your primary care doctor. While it’s understandable to be curious about your health, especially if you are experiencing new symptoms, it’s important to talk with your doctor about information you find online. Symptoms can result from a variety of illnesses, conditions or circumstances, and your doctor is most qualified to assess your symptoms and provide a diagnosis. Knowing you and your medical history, your physician can determine if the information you find online is relevant to you. Internet-based research is often most helpful after you’ve talked with your doctor about your situation. He or she can then direct you to reputable online resources to learn more about your condition and ways that you can effectively manage your health. Are you in a walking routine? Maybe you have created a great habit of walking outdoors everyday on your lunch break or parking further away? 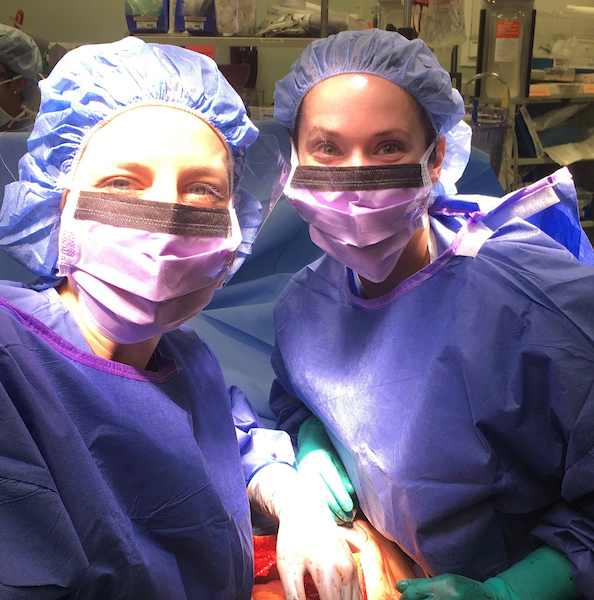 As a registered dietitian and nutritionist, I work with bariatric patients at Indiana University Health to help them lose weight in preparation for surgery. In addition to being followed by a team, patients also receive individualized nutrition counseling post-operatively. We work together to identify barriers and solutions throughout their weight loss journey, which often includes exercise. I also help people reach their health and fitness goals as a certified personal trainer and group fitness instructor. I love being able to help people integrate nutrition, fitness, and wellness to eat better, move better, and feel better doing it. Don’t let the cold weather be a barrier to your healthy habits. Follow these tips below to help keep you active and fit through the fall and winter months. Dress Appropriately: Bring a jacket to work and dress in layers if you plan to take your workout outdoors. Dressing appropriately for the temperatures can make a huge difference in the comfort of your workout. If you get too hot, you can always remove a layer. Fix Your Feet: Consider keeping an extra pair of gym shoes in your office. Proper footwear can be the difference in foot or knee pain that inhibits you from long walks. Consider checking out your local running store for a free assessment to help find the right type of shoe for you. Plan Ahead: Be sure to check the temperature the night before or day of your planned activity. This can help you not only choose proper clothing, but also proper gear such as a hat, gloves, or scarf. Always Have a Plan B: Raining outside? Plan to take extra stairs at work, walk laps at your local mall or high school, or pace the isles at the grocery store (avoiding the free samples of course!). Join a gym or recreation center: Many companies have a fitness facility on site. It is common to find gyms at an affordable price, and often insurance companies may have incentives for increasing activity. Some programs, like the YMCA, even offer financial assistance if needed. Home Workouts: Search on YouTube or websites like ACEFitness.org or ACSM.org for free exercise routines you can do at home with little to no equipment. Always practice proper form and technique to ensure safety. Recent data supports that lung screening can detect early stage lung cancers before they become incurable. Find out if you’re a candidate for screening. Why screening is so important. Usually symptoms of lung cancer don’t appear until the disease is already at an advanced non-curable stage. However, in 2011 the New England Journal of Medicine published results from the National Lung Screening Trial that found that screening decreased lung-specific cancer mortality by 20 percent among high-risk patients. Based on that data and a recommendation by the U.S. Preventive Services Task Force, private insurance providers, as well as Medicare, will now cover the cost of lung screening. Screening is for high-risk patients who are aged 55 to 77, have a 30-pack year history of smoking (a pack a day for 30 years or two packs a day for 15), and currently smoke or have quit within the last 15 years. Patients must also be relatively healthy enough to undergo treatment that might include surgery, radiation therapy, chemotherapy, or a combination thereof. If you meet these criteria, it’s extremely important to get screened, especially if you’re asymptomatic. Once symptoms appear, the cancer has likely progressed to stage III or stage IV and is potentially incurable. The only recommended lung screening method is low-dose computed tomography, or LDCT. This emits a low dose of radiation, so there is a small risk involved. However, if you are an asymptomatic heavy smoker, the risk of not getting screened (and being diagnosed with lung cancer at a later stage) will likely outweigh the risk of radiation exposure from the testing. Another risk is a false sense of security if the test comes back negative. Screening is not a one-and-done. Just like mammography, the first test is a baseline from which to compare future results. You should be screened every year until you turn 78 or have not smoked in more than 15 years. Finally, the risk of over-diagnosis could result in treatment that’s not needed. To avoid this, get screened at an institution, such as IU Health, that offers a multi-disciplinary approach. Our lung cancer program includes radiologists who specialize in chest LDCT only and who work as a team with thoracic surgeons, pulmonologists, and other lung specialists. If you’re a heavy smoker, be proactive. Of course, the best medical advice is to quit smoking. But lung screening can catch cancer at a much earlier stage than at the point symptoms start to appear. I encourage you to speak with either me or your primary care provider about the benefits and risks of lung cancer screening. Throwing away empty paper goods; disposing garbage; scouring toilets; mopping floors; stripping sheets – it may not be a job for everyone, but for Qourtney Bush it’s an act of service. “What I do is janitorial work but cleaning a patient’s room from top to bottom is really a glamorous job because I’ve been in that bed. I’ve been that patient and I know what it’s like to have gloomy days,” said Bush. As she pushes her utility cart down the hall and rounds the corner of the waiting room on the fourth floor Transplant Unit of IU Health University Hospital, Bush sees someone sitting alone. “Whenever I see someone sitting there, I just say a little prayer because I know they are anxious and worried,” said Bush, who works a couple weekends a month at the hospital to supplement her income. She also works as a patient service assistant at a local neurology office. When she’s at University Hospital Bush uses her housekeeping job as a way to connect to others. Her first visit to the transplant unit was one of the most challenging times of Bush’s life. As a teenager, she made a decision to stop taking the life-saving insulin that was prescribed to maintain her blood sugar levels. “I just thought I was cured. I didn’t want to think otherwise,” said Bush. But over time, negative impacts of diabetes began to take a toll on her body. There were other things going on her life too that wrecked havoc on the Pike High School graduate. She started writing bad checks and eventually ended up serving time in Rockville Correctional Facility – a penalty that Bush says may have saved her life. She was released in 2006 and even though she was working to take care of her body, the diabetes had damaged blood vessels in her kidneys, causing them to shut down. She began dialysis two years later. “I didn’t even know about transplants. I didn’t even think it was an option,” said Bush, who credits her nurse practitioner for educating and encouraging her. “He wanted me to realize I was too young, I needed to get in school, and he told me about transplant,” said Bush. 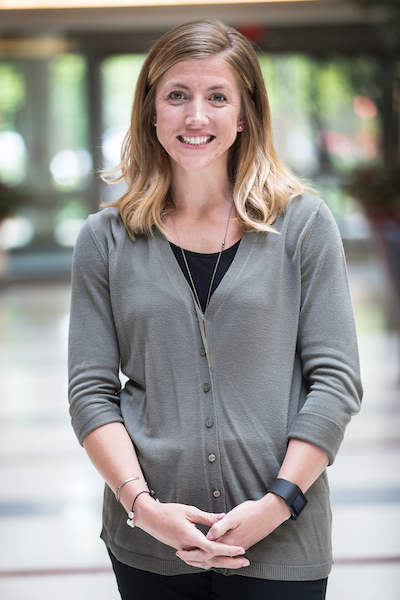 She has completed a number of IUPUI’s Workforce Readiness courses as a pharmacy technician, medical assistant administrator, and patient access specialist. Eventually she wants to work in the hospital full time and start a non-profit that offers community support for prisoners reentering civilian life, and others needing resources for parenting, nutrition, and employment. Bush begins to cry as she talks about that tough time in her life. Bush was on the transplant list for four years. During that time she underwent bariatric surgery. “I needed to lose weight to prepare my body for the transplant,” said Bush. “I still can’t believe all that I went through. I was incarcerated with people who killed their own family members and yet everything I’ve gone through with my health has been the toughest of all. As she recently went to work clearing and cleaning an empty room Bush, talked about celebrating this her 40th birth year. She also doesn’t hide her physical scars. The discolored mark that runs the length of left arm is a reminder of her kidney failure. The mark from the arteriovenous fistula reminds her of years spent on dialysis. “I used to think this scar was the ugliest in the world. Dialysis was by far one of the most difficult seasons in my life, but now I look at it as a connection to others,” said Bush. “I always use discretion when I talk to patients but I can usually see that they want to engage. It’s like they know I’ve been in their shoes. I won’t turn down an opportunity to help people who worried,” she said. If you look carefully, you’ll glance a glimmer of excitement in Ryan Kitchell’s eyes when he talks about coaching. In corporate life, it’s an attribute that has served the chief administrative officer of IU Health well. One of the most gratifying parts of his job: “I really enjoy helping individuals succeed,” he says. Kitchell is known for being a thoughtful team builder and coach–on and off the clock. Armed with a whistle and a ball cap, he can often be found on a field, overseeing one of his children’s sports teams. “I love it. I am coaching my 22nd team this year,” admits the father of four. And so the Hoosier headed back, moving from one opportunity to another. Kitchell accepted a corporate treasury role with Eli Lilly before spending several years working with Indiana Governor Mitch Daniels, first as a public finance director and then as director of the Office of Management and Budget. IU Health came into the picture in 2010. Kitchell joined as treasurer. He then moved to president of IU Health Plans before moving up to chief financial officer—a position he kept for four years. Today, as IU Health’s executive vice president and chief administrative officer, Kitchell oversees such areas as human resources, government affairs, information services and marketing among others. “This week is actually my seven year anniversary at IU Health,” he says proudly. Kitchell says he found a calling in healthcare, thanks to a college experience that left him shaken. 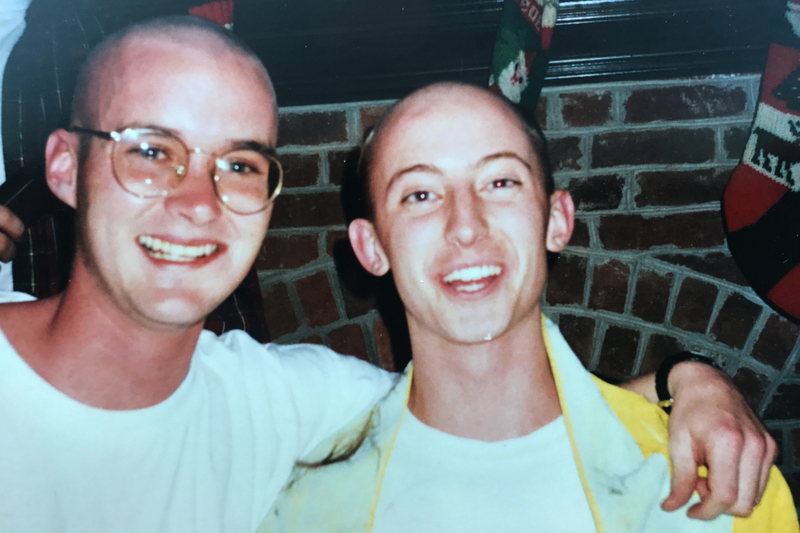 His best friend and college roommate Bill Keedy was unexpectedly diagnosed with a cancerous brain tumor during their senior year. Bill was diagnosed with his tumor right before Thanksgiving, Kitchell recalls. “When Bill was becoming bald and going through chemo, all of us cut off our hair. We all loved him.” Sadly, Bill died before spring break that same year. 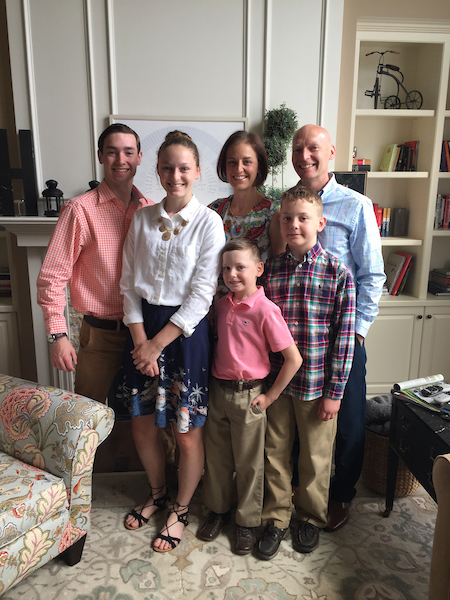 Outside of office life, Kitchell says he enjoys spending time with his wife Molly and their four children, squeezing in some swimming, running and a good game of tennis along the way. He also appreciates a smartly prepared peanut butter sandwich, his preferred work lunch for the last 10 years.